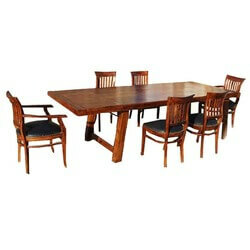 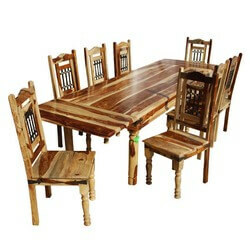 Brand New Nottingham Rustic Furniture Extendable Dining Table & Chair Set with 4 Side and 2 matching Armchairs. 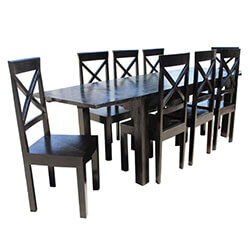 The set also includes 2 extension leaves. 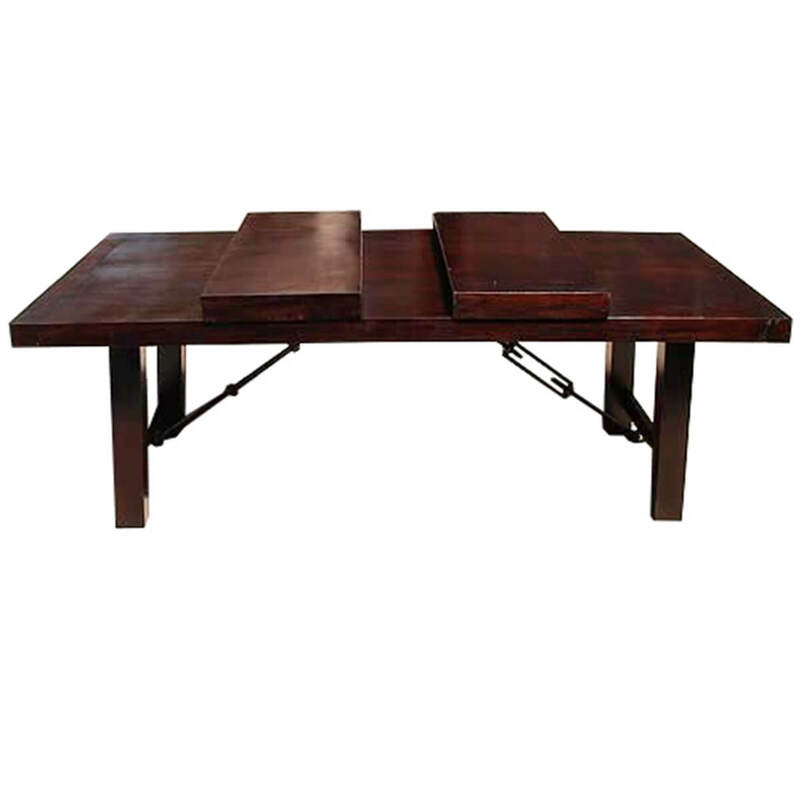 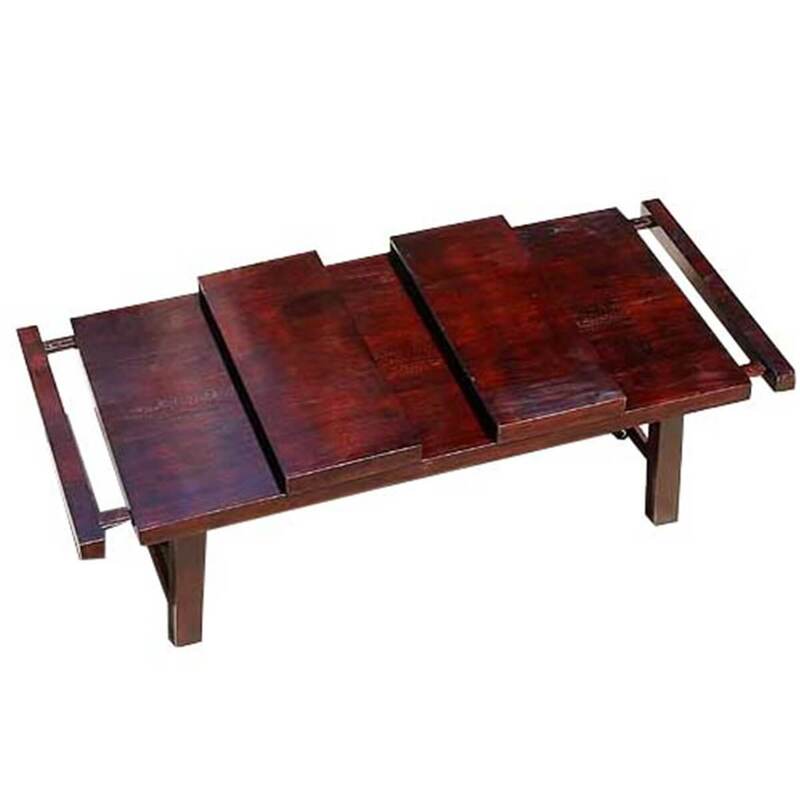 A table has strong Square shaped legs with Mission style table top. 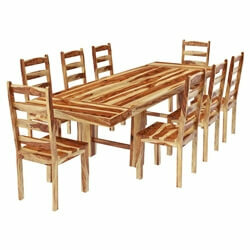 Made of Rustic Solid Wood which is known for its hardness and long lasting durability. 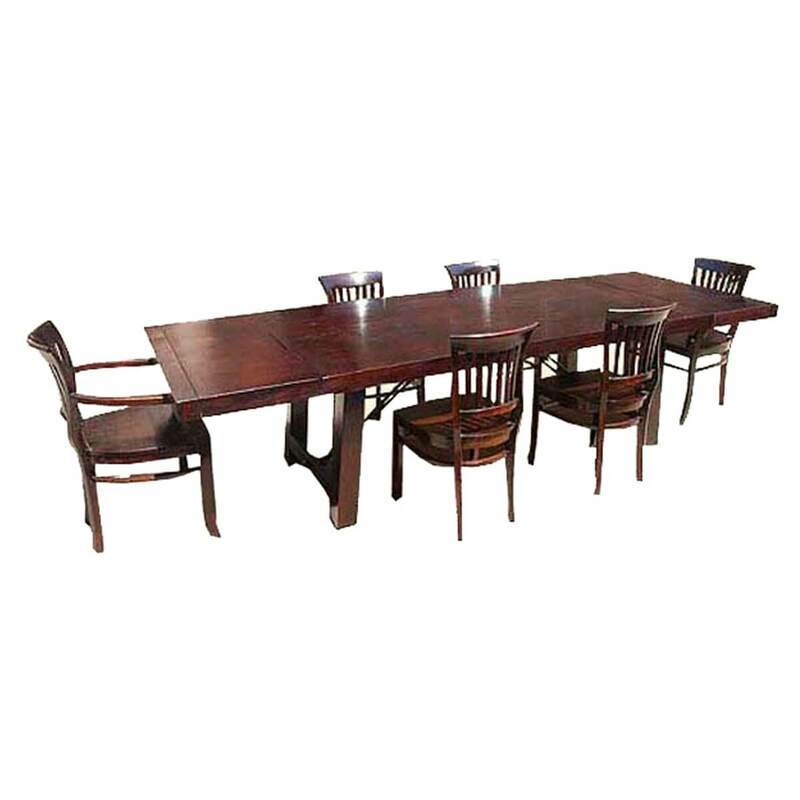 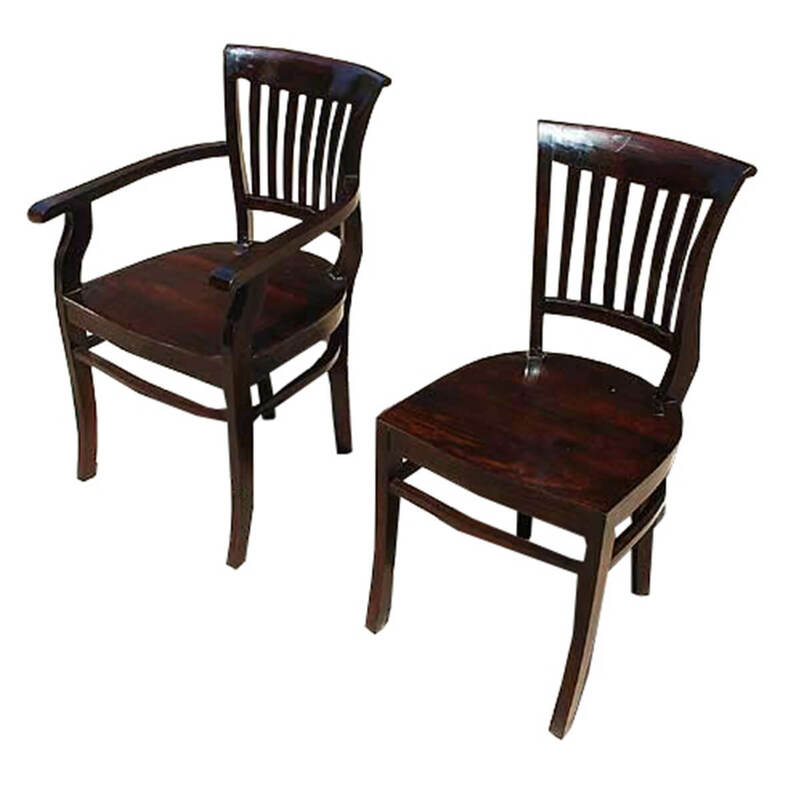 This Solid Wood Dining room set is perfect for Country dining or Elegant entertaining. 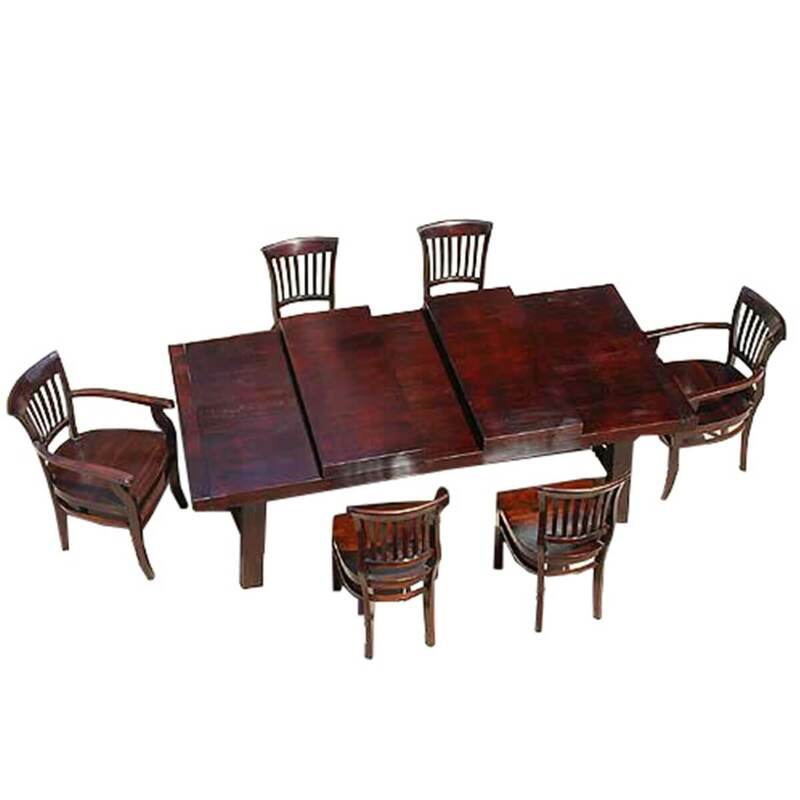 • Also available in 9 Pc and 11 Pc & 7 pc without leaf.